So Chhin Hotel is a real family owned management and it is our business visions decided to operated. 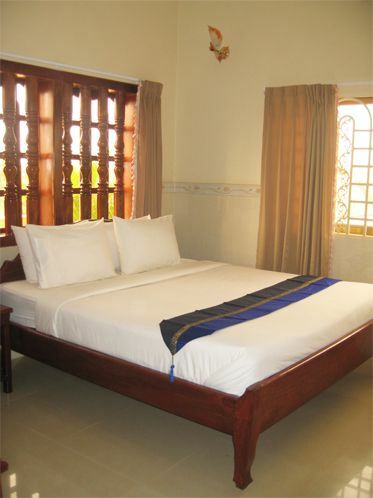 The Hotel offers 21 budget rooms but with the TOP Quality services. All our specious and spotlessly clean rooms are also equipped with full furniture. 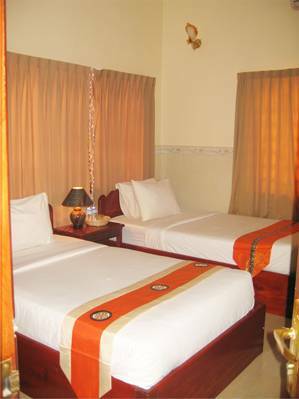 The Hotel is well located 5-minute walk from the city center of central Market, Old Market, Angkor Night Market and famous Pub street. And it is 15 minutes drives from Siem Reap International airport and well-known of Angkor. 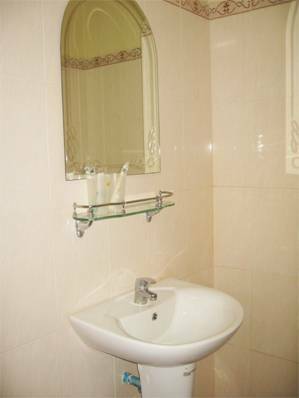 So Chhin Hotel is a comfortable budget hotel offering you the best personal touch and memorable stayed with the private room types available are: Single, Double and Twin. 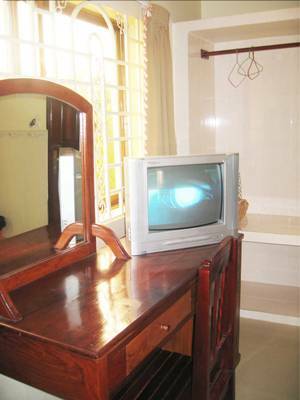 All our specious and spotlessly clean rooms are also equipped with full furniture: King Size bed or 02 x single beds, A writing desk, Air-conditioning, Fan, Satellite Cable TV, En-suite –private bathroom, Hot and Cold Shower, Linen is included Free High speed internet access, Slippers, Complementary bottles of water, Hairdryer upon request, Daily cleaning service. So Chhin Hotel: Address No. 621, Corner Phsar Krom and Stung Thmey Road, Vihea Chen Village, Svay Dangkum Commune, Siem Reap, Cambodia. 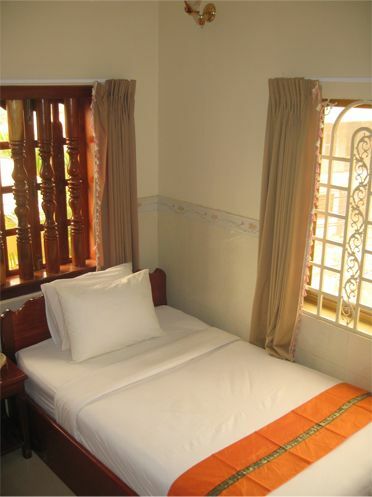 The Hotel is located in the heart of Siem Reap and on the charming area of Old Market and Pub Street. We are 10 minutes walk from Old Market and there are many restaurant directly outside our hotel. Our fantastic transportation connections mean that all of Siem Reap's attractions are easily accessible. Theses attractions include Siem Reap River, Local Market, Night Market, Old Market, Pub Street and Royal Palace. If you like shopping then the Night Market, Old Market and Shopping Center are only with Remok Moto (Tuk Tuk) with reasonable prices. There are a number of pubs and restaurants and bars nearby featuring cuisine from across the globe. The Siem Reap town is brilliant for the Asian Food and Western Food. The popular of Khmer's food is AMOK with coconut and fish. Siem Reap also has a brilliant nightlife and there are a late night bars where the guests can go out and party. By Car/Remok: From the west of Old Market. At the circle, go straight and head down on the Phsar Krom Road after an other 300m, the So Chhin Hotel is situated on the left-hand side close to the corner of Market. From Sivutha Road: Turn right between circle and lake road and continue through Krom Market Road after about 500m, the So Chhin Guesthouse is situated on the left-hand side close to the corner of Market. From Airport: On the National Road No. 6A, turn right at Traffic Light by the road Sivutha and straight to the Circle of the West Old Market and turn right. The journey will take between 15 and 20 minutes depending on traffic. 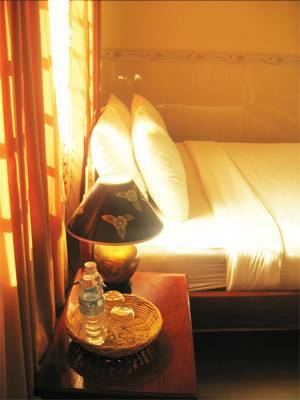 All our specious and spotlessly clean rooms are also equipped with full furniture: King Size bed or 02 x single beds, A writing desk, Air-conditioning, Fan, IDD telephone, Satellite Cable TV, En-suite –private bathroom, Hot and Cold water, Linen is included Free High speed internet access, Slippers, Free tea and Coffee all day Complementary bottles of water, Hairdryer upon request, Daily cleaning service.